My work lies at the intersection of technology, policy, law, and business. More specifically, I focus on communications and information technologies and on their broader ramifications. My recent work has addressed topics including cybersecurity, artificial intelligence, critical infrastructure security, driverless cars, wireless communications, digital information processing, and intellectual property. 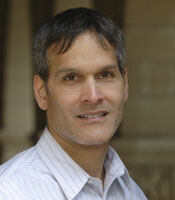 I am on the faculty at UCLA, where I hold appointments in the schools of engineering, public affairs, and management. In addition, I am a visiting professor at the UCLA School of Law. I am also a nonresident senior fellow at the Brookings Institution and a Visiting Fellow at the Hoover Institution at Stanford. In addition, I am a member of the Council on Foreign Relations and an affiliate at the Center for International Security and Cooperation (CISAC) at Stanford.